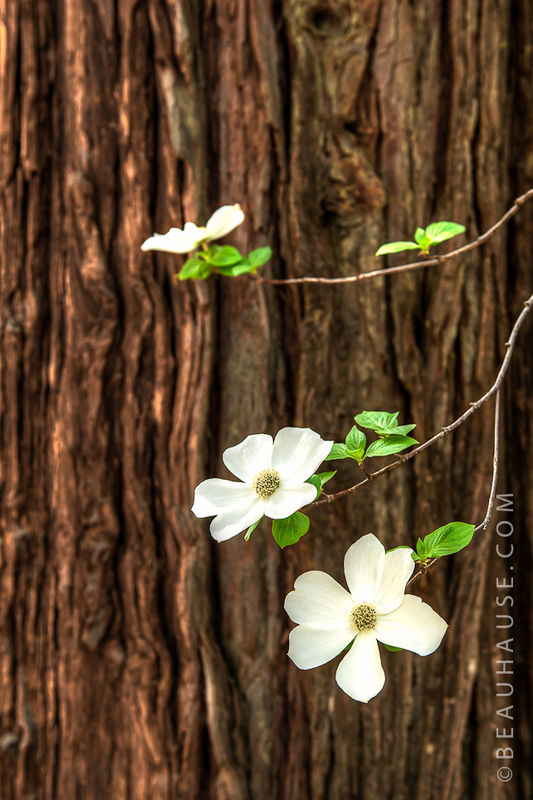 Dogwoods are out in full swing this week in Yosemite. 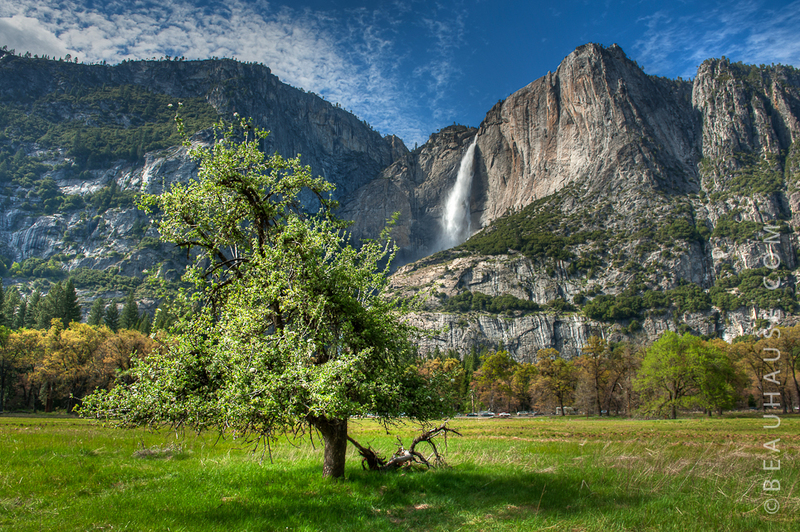 The second shot is a meadow view of Yosemite Falls in HDR. 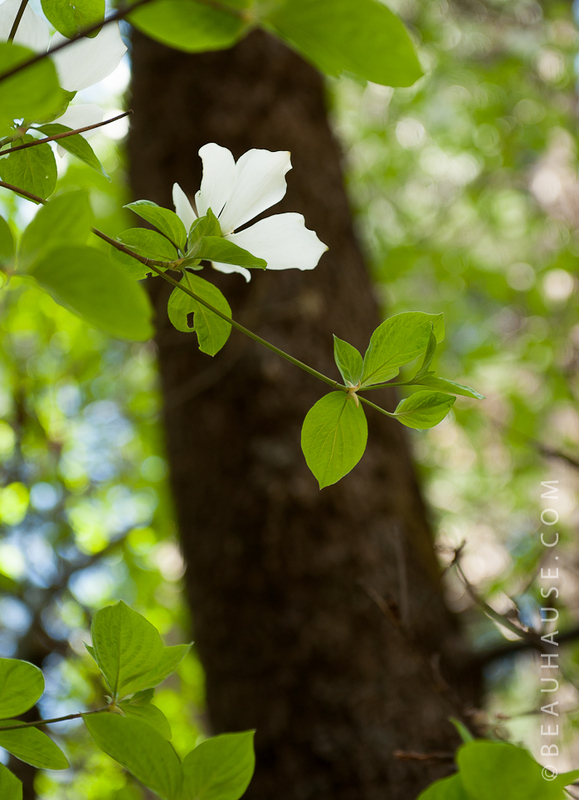 The next is my favorite shot I got of the Dogwood. It’s 10 feet from a parking lot at the Ahwahnee. Next is the interior of the Ahwahnee. It’s probably the best lounge area in the whole valley IMHO. Next is a night time shot of Yosemite Falls. It was nearly a full moon, so the whole valley lit up. You can also get a moonbow from this, making an interesting element. The water scene is near the base of Bridalveil Falls there are some great spots to explore. I could get lost for hours there. More interestingness near the base of Bridalveil Falls. Smaller side of the lounge of the Ahwahnee, and the back side of the fireplace shot below. An amazing fireplace you can sit in. Or at least next to. I wouldn’t recommend sitting IN the fire. My traveling companions for the visit. It was their first time to Yosemite. They loved climbing on these rocks! They wanted to come back and do it again. The rocks that is. Giant boulders are fun to climb on when you are a kid. The park is so beautiful that I wish it were closer to Sacramento. I would visit it often. Even though it’s a long drive it is always worth the trip. Next year I think a winter trip is in order. Awesome photos man! Your HDR shots are well done!!! Beautiful shots! Nice work bro! Beautiful pictures, Beau! You were right in my backyard!